Bhagavad Gita Volumes One and Two are gentle, soothing recordings of the complete sacred Hindu text, chanted in the original Sanskrit by Brahmin priest and classically trained vocalist Shri Prasad Joshi. 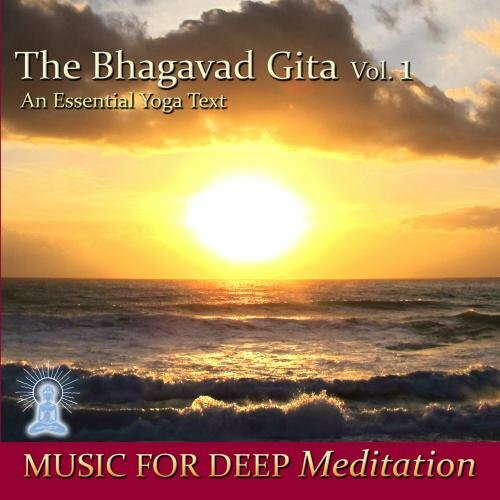 Perfect for Yoga practice, meditation, chanting along with the text, or for pure relaxation, Shri Prasad Joshi's melodic chanting, delivered flawlessly above a quiet tambura drone, will ease the listener into a state of peaceful focus. The Bhagavad Gita comprises roughly 700 verses of a conversation between warrior prince Arjuna and Krishna, his charioteer and guide, taking place on the battlefield before the Kurukshetra war. Krishna offers the confused prince advice on his responsibilities, detailing Yogic and Vedantic philosophy in allegory. As centuries passed, the Bhagavad Gita became known as an elemental guide to Hinduism, a philosophical guide to life and an essential text for the study of Yoga. Mahatma Gandhi called Gita The Gospel of Selfless Action, writing "The object of the Gita appears to me to be that of showing the most excellent way to attain self-realization." Bhagavad Gita Volumes One and Two are both two-disc sets. Volume One contains chapters 1through 8 and Volume Two contains chapters 9 through 18. Together, they form a rare and truly special listening experience not to be missed.